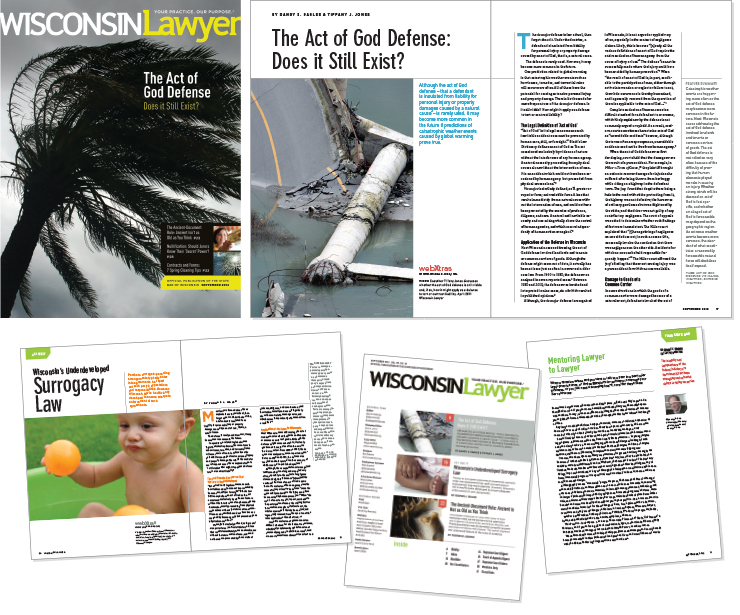 The monthly magazine for the members of the State Bar of Wisconsin has great content but finding one image to represent all of the content in any one issue is challenging. So when an image is found, it can’t be eliminated because it is not an easy image to make work with cover copy. So the redesign solved the problem with design containers. Confining the cover copy in the design containers makes any conceptually-appropriate image make a great cover too.